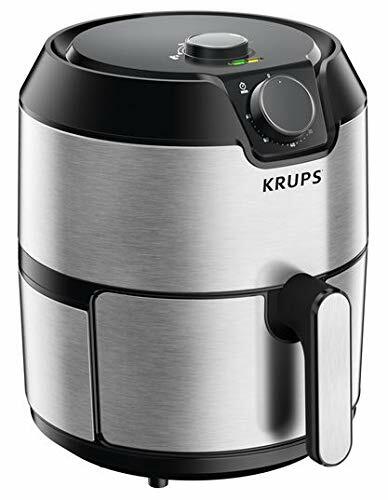 KRUPS EY201 XL CAPACITY EASY FRY PLUS MANUAL AIR FRYER 4.2 L is the healthier solution for your everyday cripsy fried foods. Fry, roast, grill and bake your favorite foods with litlle to no oil. Its Air Pulse technology provides a hot cyclonic airflow that give an irresistible crisp outside. Enjoy great variety with no effort thanks its adjustable temperature and 60-minute timer. Its exclusive basket system offers an XL capacity in a compact, stainless steel modern design.